What are the top qualities that you would want in a listening device? Un..
Power banks are comprised of a special battery with a special circuit to control power flow. They allow the user to store electrical energy and recharge their phones when out. Power banks are seen everywhere these days and having one on a desk in your bag is not uncommon. This spy device contains a secret sound activated voice recorder which is capable of recording for 350 hours in continuous mode or 90 days in voice-activated mode. Listening to the audio recording is easy as a USB cable is provided and just connects it to the computer. This product also has adjustable settings for time, date, sound level activation, and sound quality. If you are running low battery with another device, use the Vimel Power bank VIM-VOICE50 which doubles as a functional portable charging source. Any handheld device can be easily charged by plugging a USB charging cord into the device and into the VIM-VOICE50 recorder. The battery is enough to share with all your other devices. This voice recorder has simple one-key recording and long-time recording. There is no need of installing any software. 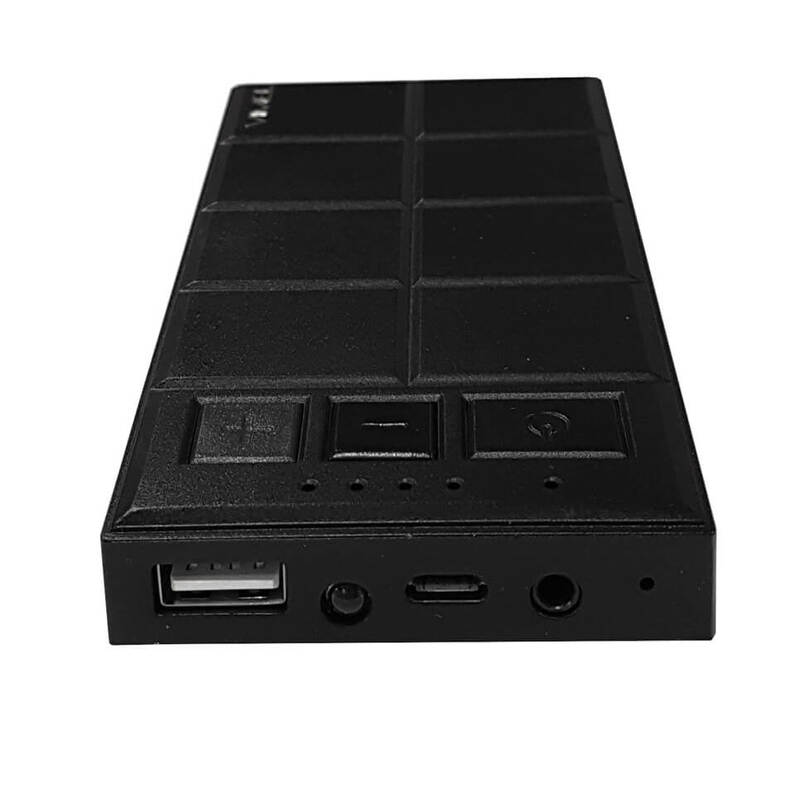 This device is built with 5000mAh rechargeable high-temperature resistance lithium battery. This device enables working inside the car and around the high-temperature environment. Auto voice activates function support starts recording when the conversation in car and stops when the conversation ends. Support up to 10M recording distance. What are the top qualities that you would want in a listening device? Undetection, discretion and secrecy. In Australia you can get miniature hidden voice recorder that acts like ..
Vimel Mini Tiny VIM-VOICETINYU2Do you need a tiny voice recorder an Extremely impressive battery life? Well this one comes with 240 hours in Sydney Australia. With incredible digital sound, you can ..
Vimel Mini Tiny VIM-VOICETINYU2 This is new tiny Vimel Voice Recorder is one of the smallest voice recorder in the world with the top-quality recording. You will be surprised, whe..
Professional Spy Voice recorder VIM-VOICEQ50The only recorder which 100% hidden without SWITCH button unlike others have that switch so can be easily detected as hidden voice recorder.Our USB Voic..
Vimel Powerbank Voice Recorder has everything you need to record audio on the go without bringing attention to yourself. It looks and works just like a portable smartphone charger, so you can..
Spy Voice recorder with wireless MICThe voice recorder lets you wireless listen into all audio Live, the device includes earphones that you can wear whilst listening, the microphone can be place..
Professional Spy Voice recorder Car Keyring Remote control VIM-VR09This hidden voice recorder is effective at being discrete especially when you use it, the keyring design protects you and itsel..
Voice Activated Audio Recorder This device is fit even for surveillance, if you’re worried about intruders or other people committing unknown acts, you can leave this device at your house all day long..
Wireless Radio MicrophoneThis wireless transmitter is perfect in terms of listening into other conversation, it functions perfectly as it uses a wireless connection to listen into any audio and ..
Wireless Radio MicrophoneThis gadget is best at what it does, it has everything you need that makes it your ultimate hand-in hand tool for gathering voice evidence in both audio and conv..
Vimel 3G GPS Tracker Waterproof with magnet and WIFI Fence with micro SD card recordin..
Professional Vimel Spy Pen Voice recorder Silver color The Vimel pen voice recorder i..
﻿Are you in a need of a spy voice recorder that fits your requirements of ..
﻿Anything that can be remotely controlled with your telephone is a great device. It is a nice fe..